A Sunday afternoon. The door bell rings. Pieter-Jan Pattyn greets me with the broadest of smiles. He proudly gives me a bar of the second batch of chocolate he has created. It doesn’t get more personal than this, fresh chocolate delivered right at my door. Every now and then, chocolate makers send me their bars to be reviewed. Especially new chocolate makers love to get feed back on their creations. I offer this service under the radar, providing them with my unbiased view on their chocolate, unpublished on this site. Pieter-Jan from Lapa Lapa Craft Chocolate did just so. When I returned my tasting notes, he promptly asked me if he could also send me a sample of his second batch. Being able to compare the difference between two batches is a rare opportunity. But even before he handed me his second bar, I knew the chocolate deserved a real, public review. Lapa Lapa is a strange little chocolate maker. Founded by Belgians, they are producing in Nicaragua. But this idea actually makes sense. By producing the chocolate at the origin of the beans, Lapa Lapa has a better connection to the farmers and the culture at the origin of the cocoa. It shows a trend becoming clear in the craft chocolate world. Instead of simply exporting cocoa beans, producing the final chocolate bar creates more added value for the country the cocoa originates from. It also shows the determination chocolate makers have and the lengths they will go to in order to create the chocolate bars they have in mind. When I first met Pieter-Jan over a year ago during a tasting, they were playing with the idea of creating their own product. Now it is available in shops and lays on my table. I can only imagine the proud feeling of accomplishment the people behind Lapa Lapa must experience. In my hands, a bold green/brown box. Showing a traditional South-American Indian figure in gold, holding a cocoa pod. 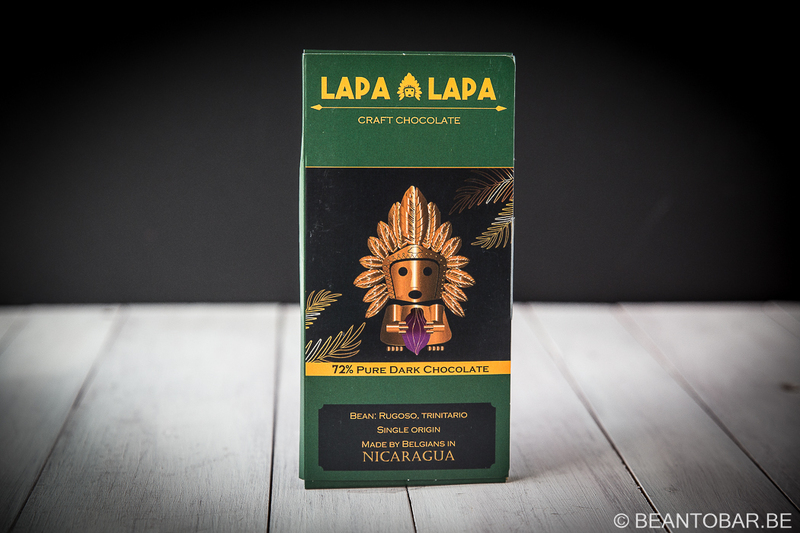 Inside the box, the legend of Lapa Lapa – a creature out of pure gold, living in the land of volcano’s and lakes – ever in search of the finest cocoa beans. The front of the sleeve shows some well sounding names. Nicaragua as origin, Trinitario as variety and Rugoso® as specific cocoa bean. Yep, we are in Ingemann territory. This company does wonders when it comes to cultivating and fermenting fine cocoa beans and has Mikkel Friss Holm as one of it’s clients. Now there is a reference that counts. So Lapa Lapa surely starts with high grade cocoa. Inside the flavor profile is shown. But by all means, try it yourself and discover the notes you detect and see if they correspond. That’s part of the fun of savoring fine chocolate. The chocolate bar is wrapped in a gold foil, fitting perfectly with the theme of the package. The bar inside is not a generic mold, yet one that shows the same Lapa Lapa figure in a massive center piece, decorated with two rows of rectangular pieces on either side. Taste: A quick start, earthy and woody. Softened by a touch of brown sugar just after the melt begins. There is a distinct espresso bitterness, followed by green vegetal notes. Later on yellow fruits appear. The tobacco note from the aroma keeps floating clearly. The bar ends with a slight dryness in the mouth, reminding me of the chestnut experiences a high percentage bar can offer. The texture is remarkably smooth and clean. Very pleasant in the mouth. 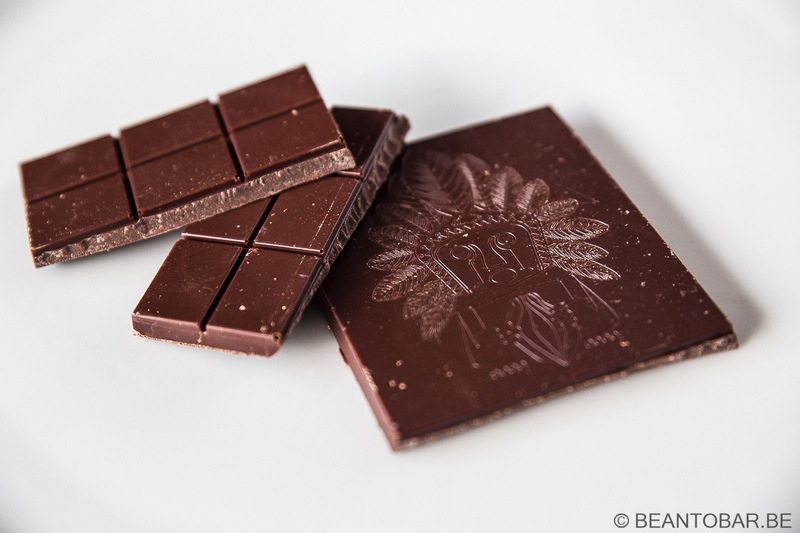 The chocolate stays close to the true nature of cocoa, offering vast amounts of fresh roasted cocoa bean flavors. This might overpower some people used to industrial chocolate bars, but it brings you a waterfall of flavors. My over all color impression is green brown. The after flavor is chocolaty and less astringent. Keeps hanging around for a long time. Taste: Once again, a quick start with a surprising splash of fresh red fruits ( strawberry, red currant) and roasted hazelnuts, followed by subdued espresso coffee and soft wood. Yellow fruits like raisin and dried apricot mingle with a touch of honey and a great ongoing roasted nut/chocolate undertone. Light and playful on the palate. Ends with a sudden dash of flowers and appealing wood tannings. The after flavor drives on roasted cocoa and sweet dried fruits and keeps floating in your mouth for an extended period. It even keeps evolving into a more pronounced chocolate flavor over time. Impressive! This time I get a more gold brown color association to this flavor. Batch 2 clearly is the winner to me. I’m a very big fan of fruits in chocolate, so I was very pleased by the clear strawberry notes on the tip of the tongue and the sweeter dried fruits later on. It also has a better sweetness / tannins ratio, keeping the flavor playful and very delightful without veering to far away from the real cocoa flavors. There is still a hint of freshly roasted cocoa beans present. 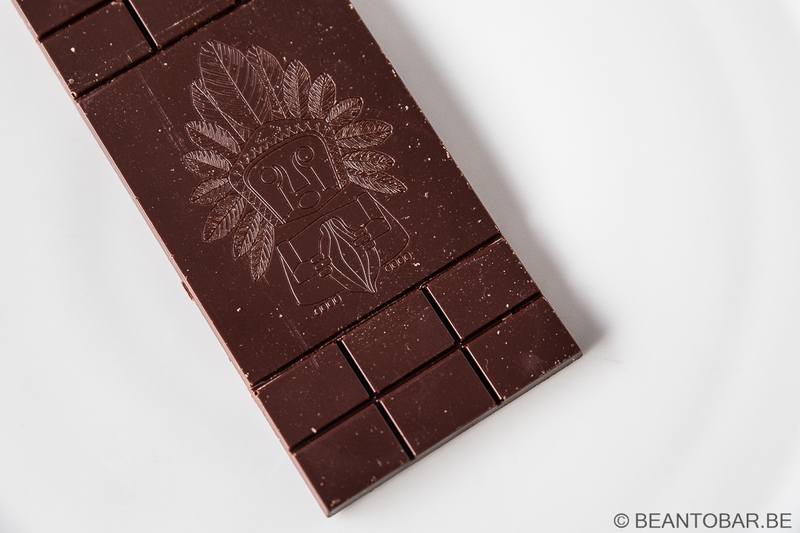 It feels even more complex and refined than batch one, therefor it is a great piece of chocolate. Batch one might be liked better by people who love earthier, bolder notes in their chocolate. It still is a very nice bar, yet I like the other version more. Lapa Lapa has shown that with dedication and the right raw materials, a wonderful product can be produced. And I’m once more proud to see that Belgians had a hand in this. Don’t let it pass you by when one of these bars crosses your path.